An ambulance and three cars were involved in a crash Wednesday afternoon near Butterfield Road and I-88 in the western suburbs. 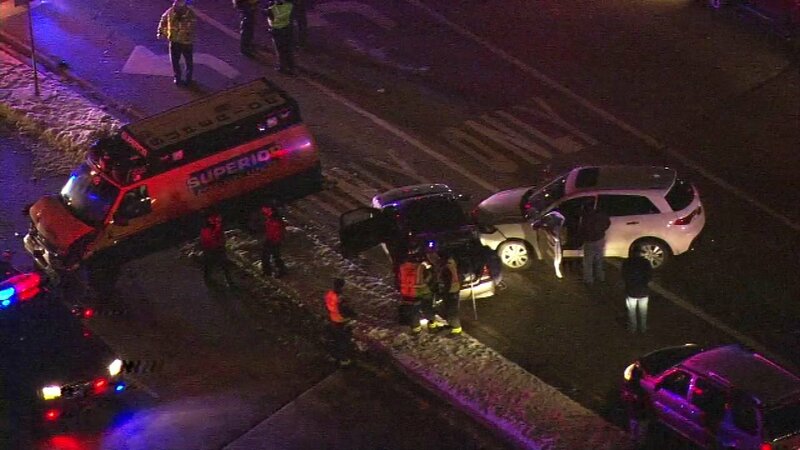 LOMBARD, Ill. (WLS) -- An ambulance and three cars were involved in a crash Wednesday afternoon near Butterfield Road and I-88 in the western suburbs. There were no reports of injuries, but traffic was slowed through the area.